Can Higher-Dose Trulicity Pack a Stronger Punch Than Currently Approved Doses? What the trial is testing: This study will test the effectiveness of different doses of Trulicity (dulaglutide), a GLP-1 agonist, in addition to metformin for type 2 diabetes. Trulicity is a once-weekly injectable treatment already FDA approved for type 2 diabetes. Its recommended dose is 0.75 - 1.5 mg per day, delivered in a single-use auto-injector device. This new study will examine the safety and effectiveness of larger dosages, 3 and 4.5 mg. It will be particularly interesting to see the results from the dose that is three times as higher – the 4.5 mg.
What the trial is measuring: The change in A1C and change in body weight. To test safety, it will also record the number of hypoglycemia (low blood sugar) events. Why is this new/important? : GLP-1 agonists have been shown to help with weight loss in addition to lowering glucose levels. The current recommended dose of Trulicity is safe and effective, but increased doses may be even more beneficial. Particularly with long-acting drugs like once-weekly Trulicity, finding the optimal dose can be a bit tricky for some patients. Earlier phase 2 studies testing the higher-dose Trulicity against the standard dose did find that A1C was lowered slightly more, along with more weight loss. There is a precedent for investigating higher doses for a drug – Victoza and Saxenda. Victoza is another GLP-1 agonist (liraglutide) approved for the treatment of type 2 diabetes and comes in 1.2 or 1.8 mg doses; Saxenda is nearly double that at 3 mg of liraglutide and was found to be so effective on the weight-loss front that it is now marketed as a weight-loss drug. That said, do keep in mind that this trial is not testing this drug as a weight-loss drug specifically. 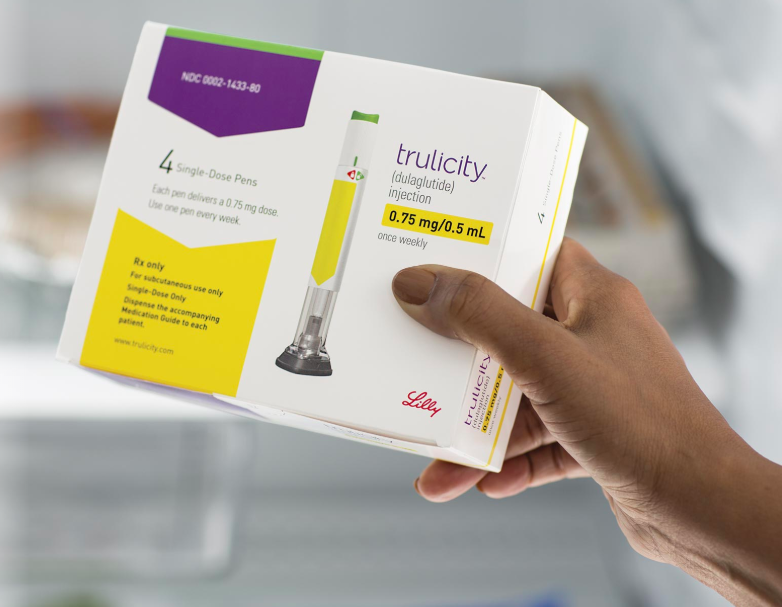 Dr. Jeff Emmick, Vice President of Product Development at Lilly, emphasized that Lilly is looking to offer more choices to people who need additional support in managing their diabetes, particularly as type 2 has long been viewed as a progressive condition. If this larger trial has positive findings, the recommended dose of Trulicity could possibly change for some people depending on their diabetes management needs. Trial locations: For this big study opportunity, Lilly is enrolling 1,800 participants through locations in 32 states and 16 countries; click here for the full list and specific contacts. Where to get more information: Contact your closest site via the information listed under trial locations. Eli Lilly can also be contacted at 1-877-285-4559 or ClinicalTrials.gov@lilly.com.